See you later summer, we’re ready to do a big belly flop into a gorgeous, hand-knitted Nest by Zilalila. This incarnation of the humble beanbag chair is so chic, it’s in a galaxy far far away from the usual slouchy fare you might see in a dingy teenager lair. Knitted in Nepal from lovely New Zealand wool, the Nest bean bag chairs (€599) are the perfect spot to curl up with a trashy magazine and nice cup of tea. Or a kid and a story book. They come in pretty, neutral shades of mushroom, powder pink, cream and charcoal, and look modern and inviting in any room. They’re portable too, which is handy for parents because the only time you can guarantee yourself a kid-free moment is if you take your Nest and hide somewhere. Under a desk perhaps, or in the closet. At least you’ll be comfy. 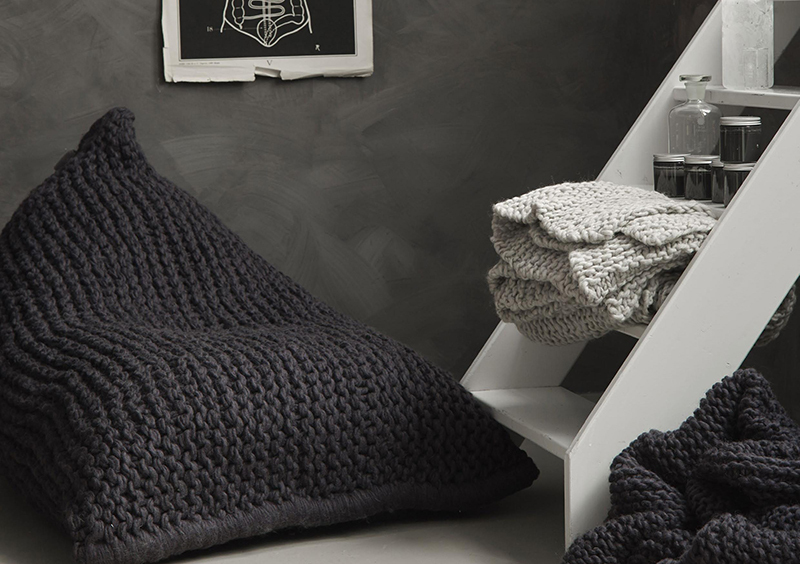 Zilalila also has decadent knitted blankets (€139) that are so fluffy and warm, you might just dose off in that closet! They’re also good for cuddling up next to siblings during moments of truce, or making an epic, super warm fort. Zilalila is a company that thinks carefully about its production, from the effects on the environment, to the effects on the wonderful people who craft its wares. 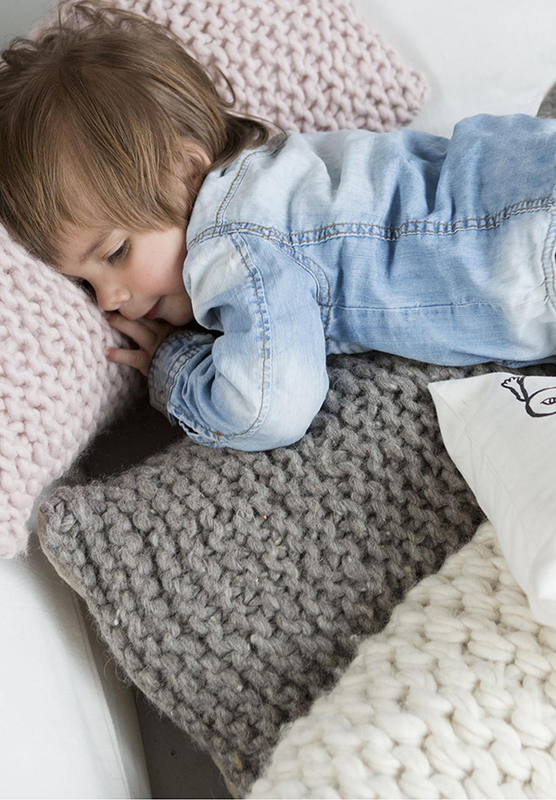 The Nest inner cotton cushion is filled with a recycled material that can be refilled if over time you find your Nest needs plumping. For each Zilalila product sold, a part of the money goes to support education for Nepali children. Zilalila is available online and ships to Australia. At 12 kilograms, the beanbag chairs make a hefty package, and shipping is €45.95.